By 1984, punk had long since expired, new wave too, even new romanticism's make-up was running. What was around was actually not too much at all. What was needed was an antidote in the now increasingly irrelevant Ramones giving us more of the same. After a brief flirtation with slow ballads every now and again, they returned to their no-nonsense punk roots on this muscular, uncompromising album. Indeed, they certainly were too tough to die. Great cover too. The Richard Hell-ish "Mama's Boy" is a reasonable opener, while "I'm Not Afraid Of Life" has vague echoes of The Doors in Joey Ramone's vocal and also Department S's "Is Vic There". "Too Tough To Die" is a brooding, menacing rocker. "Durango 45" is a brief instrumental based around a classic punk riff, circa 1977. It leads straight into the raucous punk romp of "Wart Hog". Dee Dee Ramone is, maybe not advisedly, on vocals. 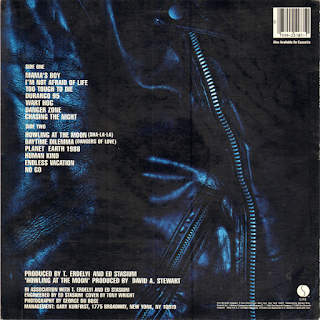 "Danger Zone" is a typical slice of Ramones thumping punk. The poppy, catchy "Chasing The Night" even has some keyboards swirling around and an infectious chorus. The best track on the album for me. Not far behind is the singalong grind of "Howling At The Moon (Sha-La-La)". Amazingly, on such a retrospective Ramones album, these two tracks are both over four minutes long! So too is the next one, the riffy "Daytime Dilemmas (Dangers Of Love)", which is another cracker. It has great backing vocals/guitar interplay at the end. "Planet Earth 1988" is future shock rocker, full of stonking guitar and drums. It is another one I love. 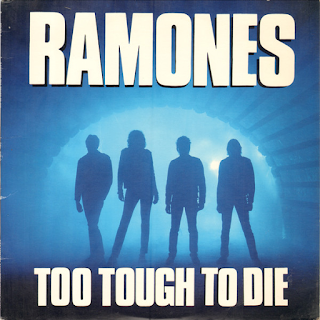 A typical Ramones intro pounds us into "Humankind", as if it is 1977 again. Just turn it up. "Endless Vacation", however, is a bit of a turkey, with sort of madcap vocals and breakneck riff that characterised what punk would turn into in the nineties. Dee Dee is on vocals once more - give us Joey back again, please. Thankfully, he returns for the bopping, energetic "No Go". 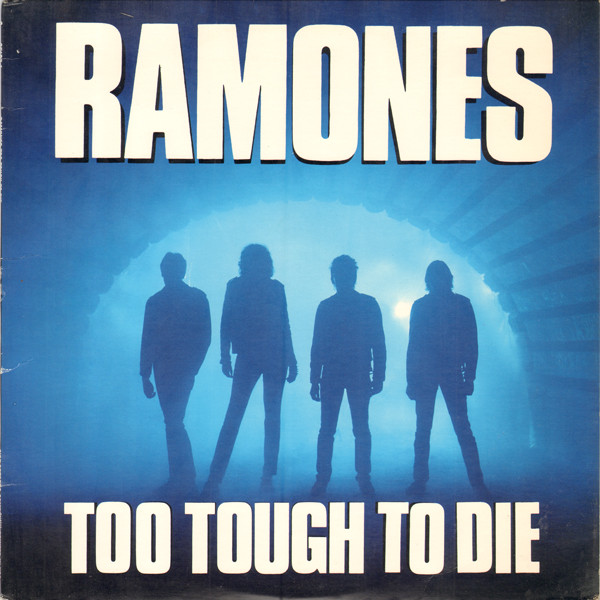 There is a convincing argument that says that this was The Ramones' last great album, and also their first since the late seventies. I wouldn't disagree with either of those statements.